Charity Alliance Realty was formed with two ideas in mind: 1) To create relationships that provide complete real estate services to our clients from the beginning of a transaction to long after it is complete. 2) To give back to the community through charitable donations made in honor of our clients. We are able to provide donations to charities by keeping our marketing costs low. Rather than spending tens of thousands of dollars on marketing, we depend on our clients to tell friends and family about the services we provide. The founder and owner of Charity Alliance Realty, Ray Calnan, is currently pursuing a Ph.D. in Urban Development at the University of Southern California. In addition to helping people buy and sell real estate, Ray has taught graduate and undergraduate finance and real estate courses at California State University at Northridge. Ray was the first EcoBroker in the San Fernando Valley. As an EcoBroker he is able to assist clients with ways to improve properties that they are buying or selling in order to increase energy efficiency, improve indoor health, and reduce the impact on the Earth. His interest in the environment provided him the opportunity to consult and appear in episodes of Greenovate, a Discovery Network show about renovating homes with consideration for the environment. Charity Alliance Realty is a full service real estate brokerage. We help people buy and sell homes for their own use or as investments. We specialize in both residential and commercial property. 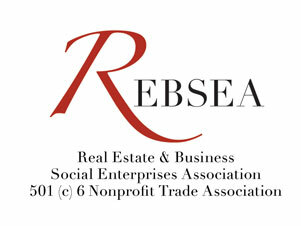 Charity Alliance Realty donates 10% of our revenues to non-profit organizations selected by our clients.